It’s not just motocross riders who need body armor. Anyone who rides off-road can benefit from wearing decent dirt bike body armor. Whether you’re a trail rider, enduro rider, or mountain biker its an essential piece of gear. Apart from roost protection, there’s a heap of other dangers that your body armor can protect you from. If you’re into trail riding in forests, a good chest protector is a must to protect you from being skewered by tree branches. My own chest protector has saved me from a broken 2″ thick branch which stabbed me right in the chest, luckily it was deflected by the chest protector. I hate to think of the outcome had I not been wearing it. I’ve looked at Roost deflectors, Chest Protectors and Body Pressure Suits in this review. Prices range from $72 to $265, so we have ‘Bang for Buck’ through to the best available. 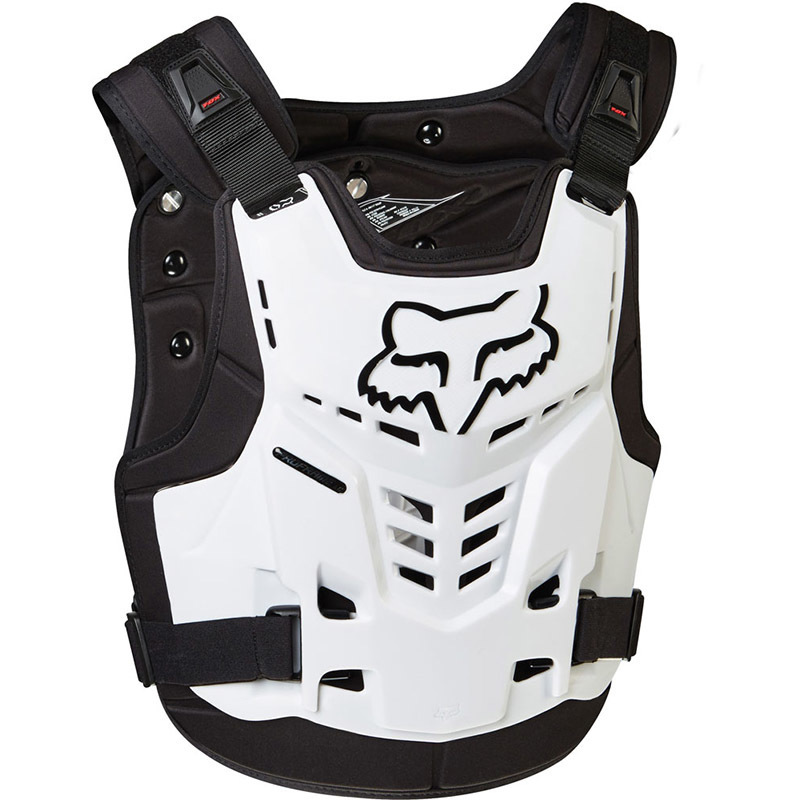 Some of the most popular Body Armor brands are: Leatt, Fox, EVS, Alpinestars, Thor, and Troy Lee Designs. 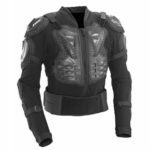 There are basically three different body armor options available today, suited to different types of riding, and different price ranges to consider. Let’s run through the options available to you. These are the most popular choice for dirt bike riders today. They’re usually called chest protectors, but they come attached to some form of back protection, shoulder guards, and detachable upper arm pads. 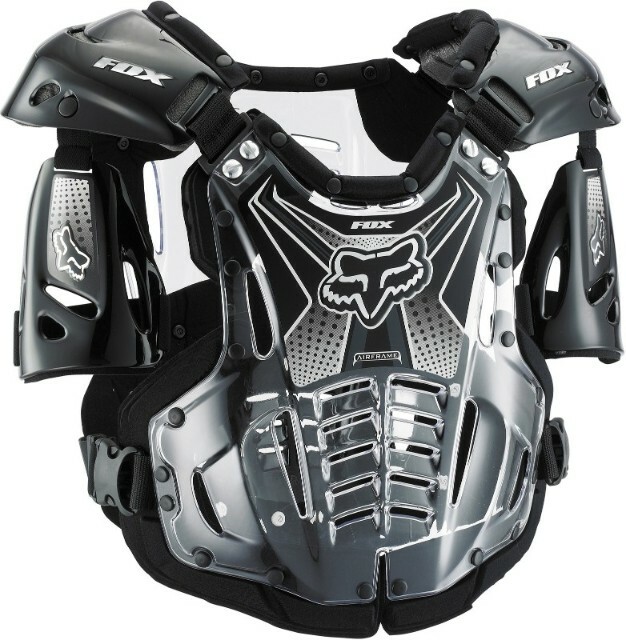 One thing to be aware of is that a Roost Deflector and a Chest protector are not the same things. Roost deflectors are designed to protect you from rocks and dirt kicked up from other riders, and from getting cuts or bruises from branches if you’re trail riding. They are not designed to protect you from impacts in a crash. 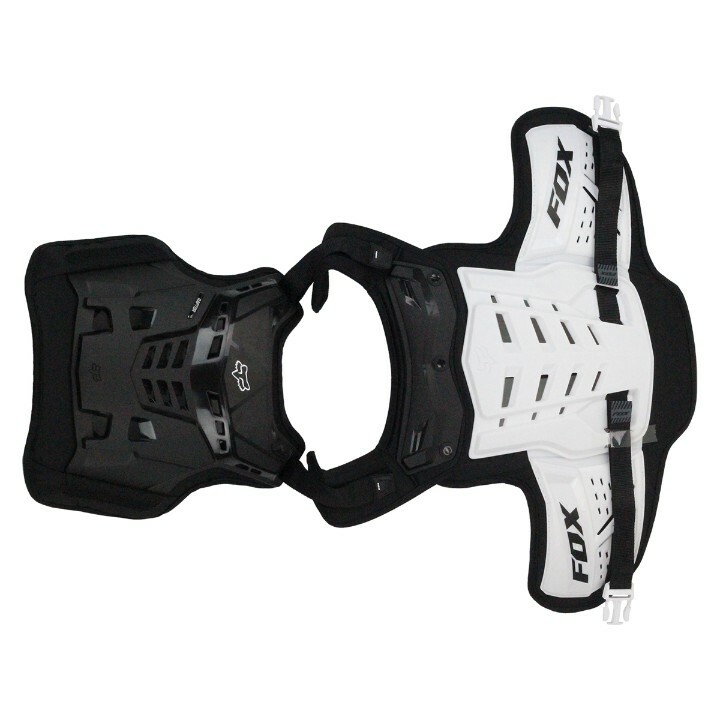 Chest Protectors are usually a little bit more expensive and the best ones have a CE certification for impact. To achieve a CE certification it has been put through independent tests to meet very specific standards. The ultimate upper body protection is provided by the pressure suit. They incorporate a chest and back protector, integrated elbow and shoulder pads, upper arm pads, and some even incorporate a kidney belt attached to the bottom of the suit. Some incorporate hard thermoplastic pads, while others use a soft shell 3DF protection. They can be worn under your jersey, or over the top, in which case you’ll need a slightly larger jersey. They’re generally more expensive than a chest protector, but all that extra protection comes at a price. These are a popular lightweight option in the hotter months. They are well vented to keep you cool, and offer good roost protection, but not as good impact protection as the hard shell chest protectors. They are usually worn under your jersey, and come in long sleeve, tee-shirt style, and vest style. Padded under armor is a good option if you’re not looking for the full-on hard shell protection. Kids aren’t left out in the body armor category. 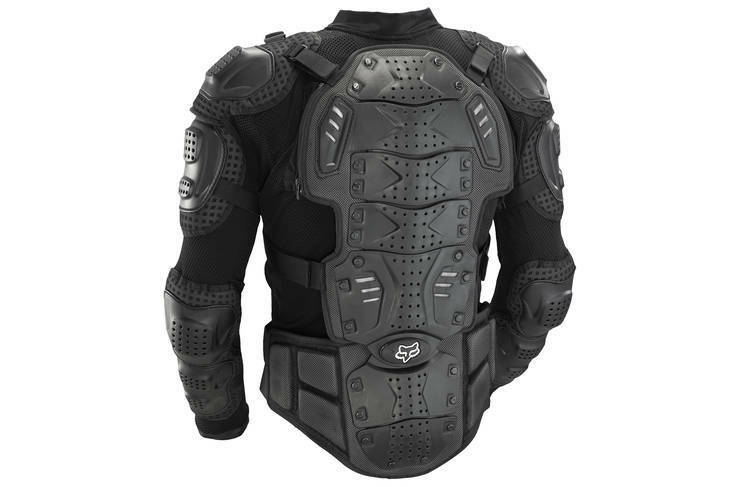 Most of the manufacturers offer kids body armor in sizes to mirror their adult range in chest protectors and under armors, with the exception of pressure suits. A lot of them are ‘One Size Fits All’ because of the range of adjustment available. This is great when your kid is growing quickly and you don’t want to keep replacing it every couple of years. Sizes are usually measured using the chest measurement. Refer to No. 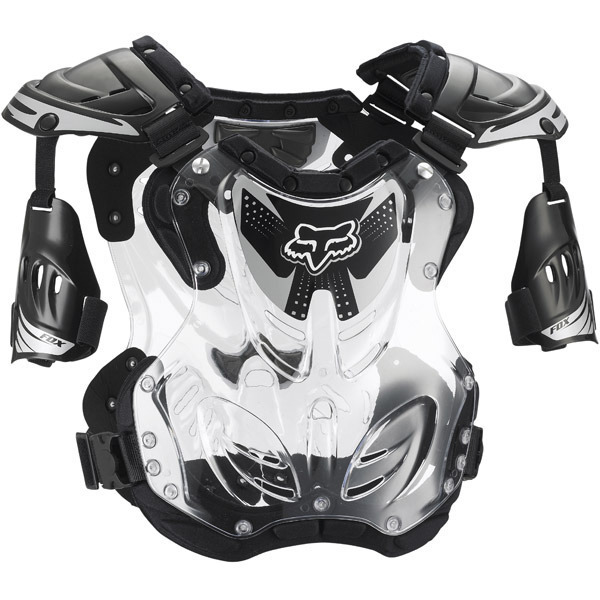 10 in this review for one of the best available in youth body armor. 1. 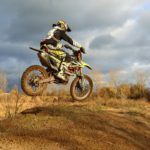 The type of riding you do: Whether you’re racing motocross or just weekend trail riding, the absolute minimum protection should be a roost deflector. Even at low speeds, being skewered by a tree branch can be fatal. A chest protector preferably with a CE rating is the next level up if you are looking for impact protection in a crash. If you’re into high-speed desert racing, a body pressure suit may be what is required. 2. The quality of the materials used: The old rule of ‘You get what you pay for’ holds true, so a good quality shell and foam lining is a must so that it protects you as designed. 3. Comfort and Fit: If it isn’t comfortable, you won’t wear it. It won’t do you any good sitting in your gear bag, so ensure you select one with plenty of adjustment to suit your body size. For it to work as designed, it must fit snugly against your body so that the inner padded lining and the outer shell can do their job. Let’s Look at the best of what’s available in Roost deflectors, Chest Protectors and Body Pressure Suits. This hard shell chest protector is CE certified for impact, which means it has been independently tested, so you’re assured of its quality. This is a very important feature to look for. It uses both a hard external shell (HDPE) and 3DF AirFit impact interior foam for protection. 3DF impact foam is designed to be flexible for a comfortable fit, then instantly transforms into a hard, energy absorbing substance under impact during a crash. Its designed to be integrated with a Leatt neck brace if you choose to wear one. 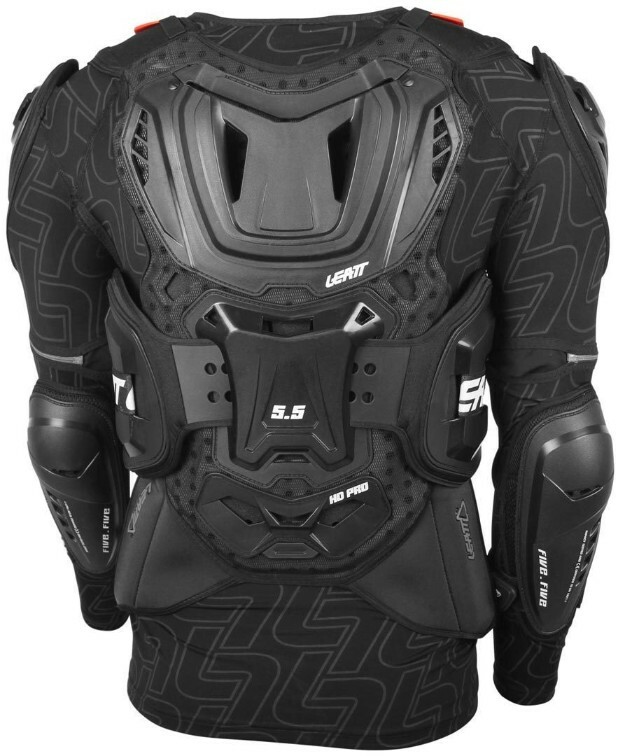 It offers chest, back and flank protection thanks to the wrap around design, and scores 12 points in Leatt’s protection rating system. The only drawback with this model is the lack of shoulder pads. 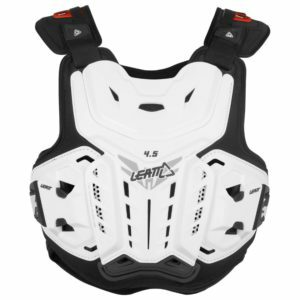 The Leatt 4.5 Pro can be purchased in the shoulder pad version for an extra $30, which has a Total Leatt protection score of 17 points. 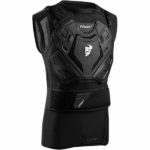 For a higher level of protection again, the 5.5 Pro HD Chest Protector has a score of 20 points (At no. 9 in this review). 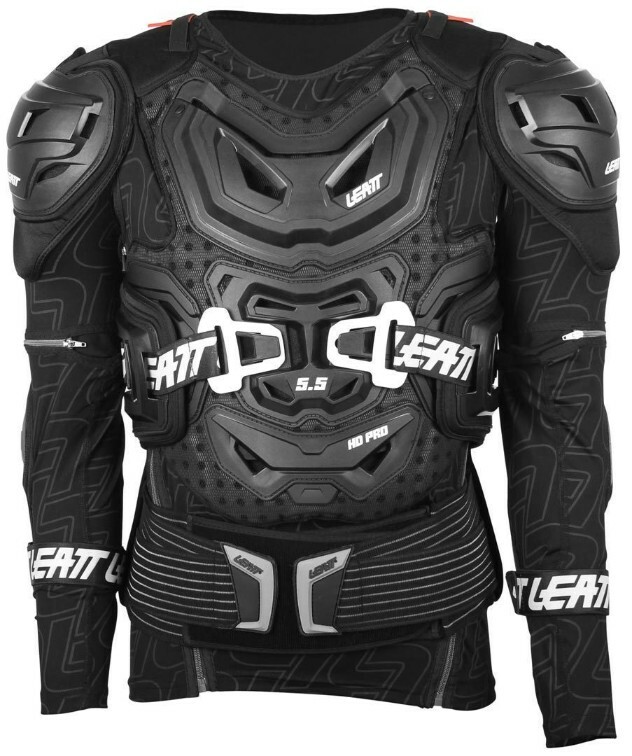 The Leatt 5.5 Body Protector is the absolute top of the line in body protection, offering chest, back, elbow, shoulder and flank protection. It is CE tested and certified and scores a total of 25 points in Leatt’s protection rating system, which is the maximum level of full-body protection. The external hard shell areas are made of High-Density Poly Ethylene (HDPE) which provides impact protection and stone deflection. The hard shell is integrated with 3D AirFit soft impact foam interior lining which is designed to conform to your body’s shape and will harden immediately when subjected to an impact during a crash. A new feature is the mesh base layer and anti-odor ‘MoistureCool’ and ‘AirMesh’ wicking fabrics which help with drawing moisture away from your body and keep you cool on those hot days. Another great feature I like with pressure suits is the incorporation of a kidney belt into the unit. A must for riding rough terrain. 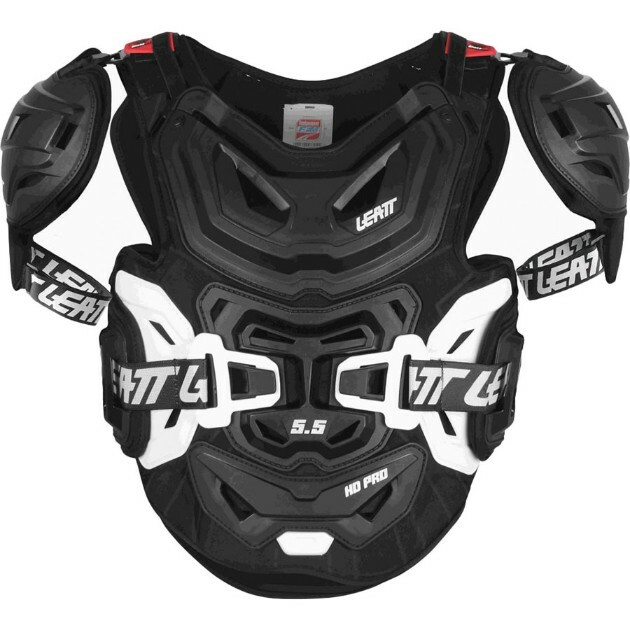 The Leatt 5.5 Body Protector is, of course, compatible with Leatt neck braces. The Fox Racing R3 Roost Deflector is the ideal choice if you’re looking for roost protection for motocross, enduro or trail riding, without blowing the budget. Its body-hugging race-form fit and low profile shoulder cups allow you to wear it over or under your jersey. It is also available in a Youth size and R3 Girls Roost Deflector. The great thing about the Fox Racing Proframe LC Roost Deflector is that it is designed to be integrated with the Leatt neck brace system, without any modification. The shell is a Thermoplastic (TPU) which is very well ventilated front and back. You have good adjustability at the shoulders and waist, and the two position adjustable back protector can be removed if you choose to use only the front panel. The Biofoam inner lining to the front and back panels is removable and washable, which is a great feature to make cleaning easy. It comes in two sizes, Small/Medium, and Large/X-Large and a good range of colors. 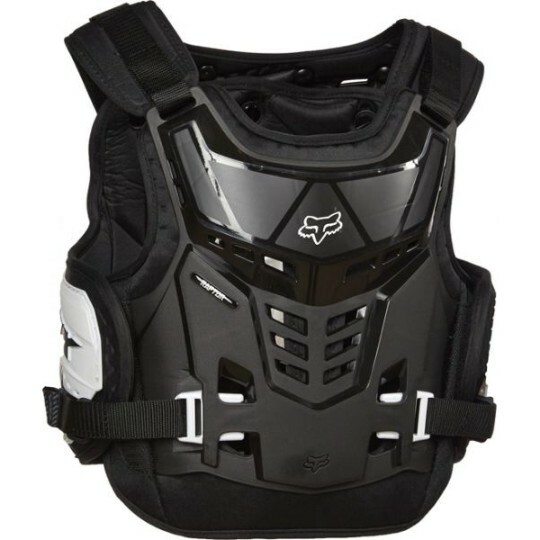 The Exotec chest protector is a hard-shell polycarbonate chest plate that offers excellent airflow to keep you cool, while also giving you full roost protection. Zac Speed has solved the complications involved in trying to juggle your Roost Protector with your hydration pack and tool pack. The Exotec system has been designed to optimize these three elements into one system. 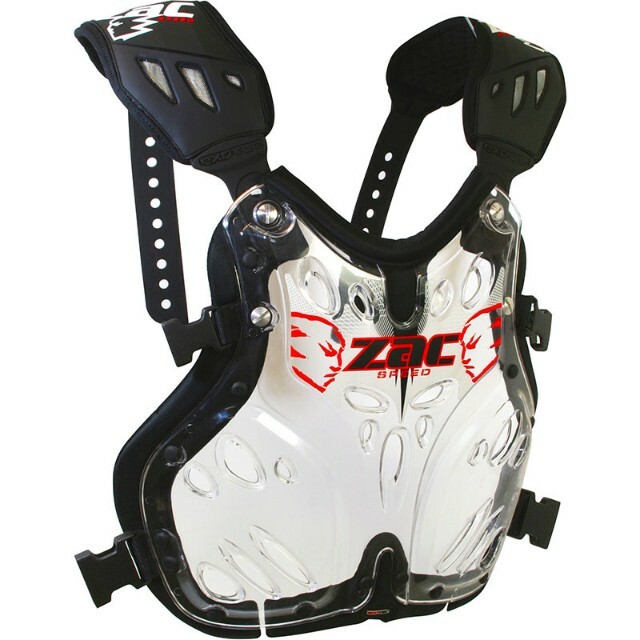 The chest plate is ergonomically attached to any of the Zac Speed CONFIGR8 hydration backpacks (Sprint R-3, Recon S-3, Dakar) using the ‘Soft Shell Shoulder Suspension System’. The use of the quad load distribution straps allows the backpack to be fully loaded and still maintain a balanced position on the rider, without causing the chest plate to ride up your chest, offsetting the pendulum effect. This also helps reduce the apparent weight of the loaded backpack by distributing the load over the entire chest plate. The chest plate can easily be fitted and removed using the tool-free CONFIGR8 ladder-lock system. The Fox Airframe Roost Protector has heaps of adjustability so you can ensure it fits you comfortably and securely. For body armor to protect you as it was designed, the inner lining between the outer shell and your body must fit snugly to disperse the energy of impacts. The Biofoam padding on the Airframe will ensure you don’t get any rubbing or pressure points when fully geared up. 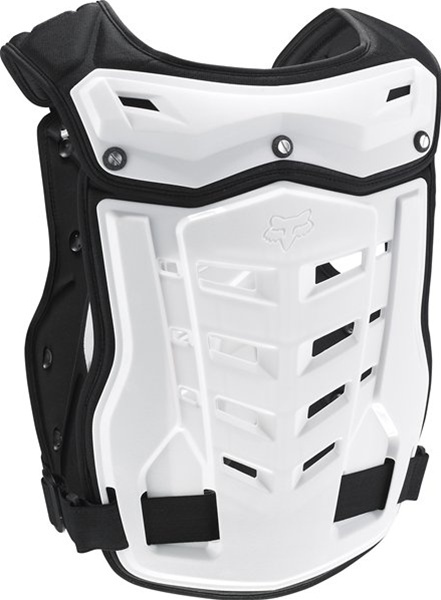 I especially like the ability to remove the arm guards and back panel if you choose to ride without them, and the shoulder cups are low profile so you can wear your jersey over or under the roost protector. The Kevlar-reinforced two-piece back panel is another great feature that allows movement and flexibility in the back. The adjustability of this roost deflector allows you to use it with a neck brace. As everyone is different you may require slight modification for the best fit for you. The big advantage of pressure suits is the all-in-one upper body protection. They are the top level in protection, and what I personally ride with, and I’ve been riding dirt bikes for over 30 years. The VS Sports G6 Ballistic Jersey is a lightweight, breathable ballistic jersey designed for maximum upper body protection for all-day comfort and breathability. The external shell is hard polymer plastic and covers your chest, back, arms and shoulders. The elbow guards are articulated so that they move with your body. It is designed to be worn under or over your jersey. Fitting the jersey is easy with a velcro and zipper closure at the front, and lateral velcro cinch closure at the sides. The built-in kidney belt is a great feature of these all-in-one suits, and the ability to fit a hydration bladder into the articulated spine protection is pure genius. The Fox Racing Titan Sport Protective Jacket is one of Fox’s most popular armored jackets in their $100 to $200 range. It is an injection molded CE rated plastic outer shell over ventilated foam built to the long sleeve mesh chassis that has great ventilation and flexibility. There are velcro adjustability straps on the biceps, forearms, shoulders, and chest, along with a large hook and loop closure that helps secure the removable back protector. 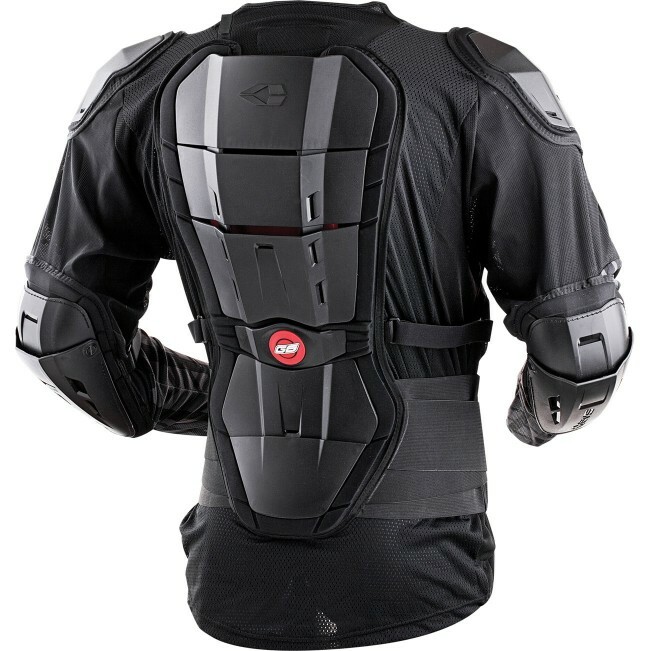 The shoulder, upper arm, forearm, elbow and back protector is CE rated for impact. 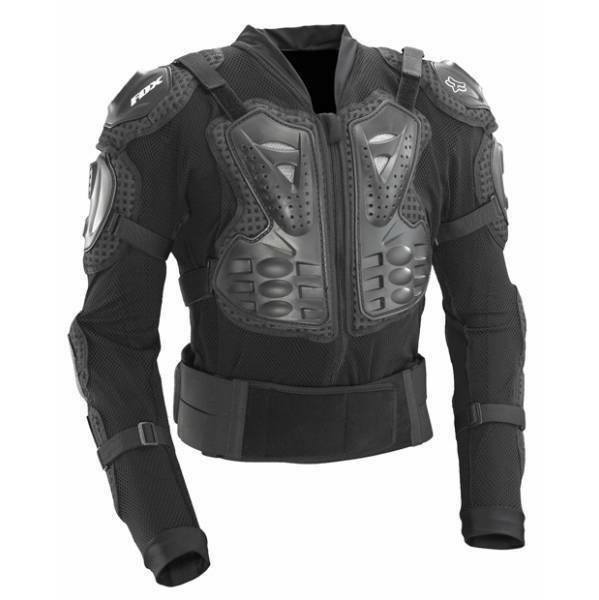 The chest plate is not, but it is well ventilated and will provide good roost protection. There is a single full-length zipper front entry for easy on and off. A great feature is the ability to remove the back protector if you wish, a unique feature not often seen with other protective jackets or pressure suits. It can be worn over or under your jersey thanks to the low profile design. Be aware that the back protector comes down fairly low, so it may be difficult to tuck your jersey in if you wear it over the top of the armor. 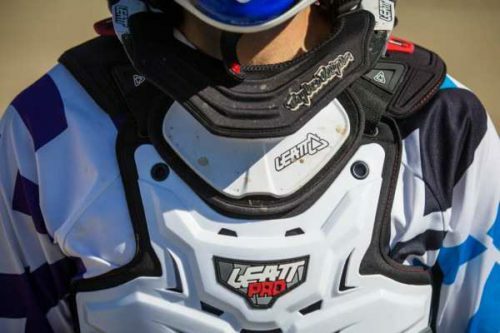 The Leatt 5.5 Pro HD Chest Protector is the top level of protection with a Leatt score of 20 points (the maximum) in Leatt’s protection rating system. It combines the High-Density Poly Ethylene (HDPE) hard shell protection with the 3DF AirFit impact foam, which is flexible yet transforms into a hard energy absorbing material upon impact. It is CE tested and certified for chest, back and shoulder protection. There are adjustable flank panels to provide additional protection to your sides. The shoulder pads are removable. The 3D design has 53 ventilation slots for maximum cooling and has new adjustable shoulder straps to ensure you have a secure fit to suit your body. It is compatible with Leatt neck braces of course and now comes with a mesh base layer. The Youth Raptor Proframe is based on the proven adult size Fox Proframe and is designed to give young riders complete coverage. It features a new full wrap around body coverage using injection molded plastic side plates, and there is an extended lower back coverage. The internal lining is a double layer of Bio-foam and it has a lot of the features of the adult size Proframe. It is fully vented to help keep your child cool while racing. It is designed for kids aged from 6 to 11 years old weighing 60 to 95 pounds. Smaller riders use an extra female clip to fasten the closure system in the center of the chest plate. larger riders use the standard integrated closure system. The adjustable shoulder straps are specifically designed to work with neck braces if you prefer your child to wear one. Good body armor is a necessity whether you are racing or not. 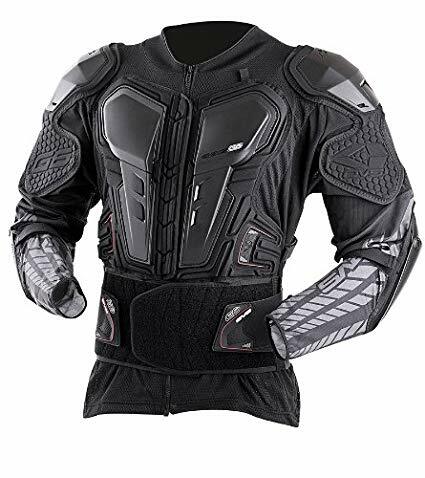 Dirt Bike body armor has come a long way in recent years and is now lightweight and extremely well designed to be practical to wear even for the weekend trail rider. All of the body armor in this review has been well and truly tested and proven to do what is designed for. They all have overwelmingly postive reviews from users. Just click the links to read what others have said about them. What body armor have you used in the past, or are using right now? Is there one that should be on this list of the best available? Apart from being a great fan of bike races and watching them, I also play video games on bike racing. 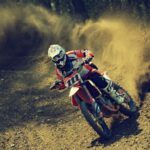 Dirt bikes racing is very dangerous because of the kinds of injuries that occur when there are accidents. That’s why it’s advisable for one to use the best body armor. From this article, one can get the best. Body armor has become essential gear now, even if you’re not racing. There’s such a wide range available now. Glad you enjoyed the review, thanks for dropping in. Oh my god, you can really hurt yourself on motorbikes if you aren’t geared up enough. I find too many people ride bikes with barely any safety equipment at all, it’s crazy. I think body armor is so important, especially on dirt bikes. You just never know when you are going to come off unexpectedly. The number of people who die, or become a paraplegic due to motorbike riding is pretty high so I would like to thank you for reviewing body armor to help prevent these accidents from injuring riders in the future. It really does depend on what kind of riding you will be doing I guess. I would probably go for the Fox Racing Proframe LC Roost Deflector for simplicity and ease of use. Thanks for testing out this gear for us, happy riding and stay safe. Hi Kris. The Fox Racing Proframe LC is a popular choice for a lot of riders, even if you aren’t racing motocross, just for weekend trailriders. I wouldn’t ride without one now, it’s not much cost when you consider the injuries you can avoid. Hi Charles. By biking, I assume you mean mountain biking. A lot of these protectors are also used by mountain bike riders. 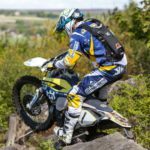 You can suffer a lot of the same injuries as dirt bike riders on a mountain bike, so a good chest protector would be a good idea. Being a motocross rider is a very dangerous sport and wearing body armor can minimize the risk of serious injury. How many times we have seen riders even with good armor getting hurt so it is of utmost importance for everyone to wear some kind of protection. I am not a biker myself, although I came close to being one several years ago, but I get how dangerous all this can be. I like the huge amount of options and details you offer for each armor, it will definitely help those that are looking into buying one. Very good reviews, thanks for sharing. Hi Stratos. Yes, there’s a huge range of options available now. It’s difficult to know which is best for your own use. Hopefully, this review has helped make it easier. Thanks for your thoughts. Hi, these body armors for dirt biking really look different than the ones we had in our time. I used to ride off-road a lot but just had my kidney belt and gloves and a Barbour jacket. Boots and gloves, of course. I think today I would go for full body armor, one like the no. 8 or 2. Here the temperature is a problem, which do you think is better in a hot climate? Hi Stefan. I agree with you about using the full body armor, it’s what I use now. 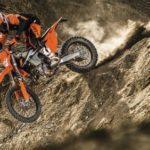 I think the Leatt 5.5 Body Protector at no. 2 would be cooler because it has the ‘MoistureCool’ and AirMesh wicking fabrics, and the hard shell exterior has plenty of vents. Thanks for dropping in, if there’s anything I can help with just let me know. I have a son of mine who loves to ride a motorcycle with friends. After reading your article I have no doubt that I will have to buy good protection. Show us a great variety of models that we will choose together. I consider it very important that he has above all protection in the shoulders and elbows. He is about to turn 12 years old, and he likes going a lot along dirt and sand roads, what model would you recommend me? Hi Claudio. If your son is 12 years old he is just outside of the 6 to 11-year Fox Youth Raptor roost deflector. If you want shoulder and elbow protection you have to go to the body pressure suits at nos. 2, 7 and 8 in my review. They all come in small sizes, but I would recommend the Fox Racing Titan at number 8. At about $150 it is the cheapest of the pressure suits and would give all the protection you’re looking for. 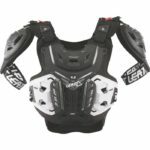 If you want CE certified impact protection the Leatt 5.5 Body Protector is the top of the line, but also more expensive. Let me know if I can be of any more help. Thanks for dropping in. My cousin is fanatic about bikes, but unfortunately he doesn’t care too much about his own health or he can get hurt. So he drives without any protection. Now knowing these top 10, me and my wife will look for a good one that suits him and he can’t complain about it. It is for his own sake so he should be happy. Hi Emmanuel. Any of these will give good protection, it just depends on the type of riding he does, and what your budget is. If I can be of any help please let me know. Thanks for your comments.